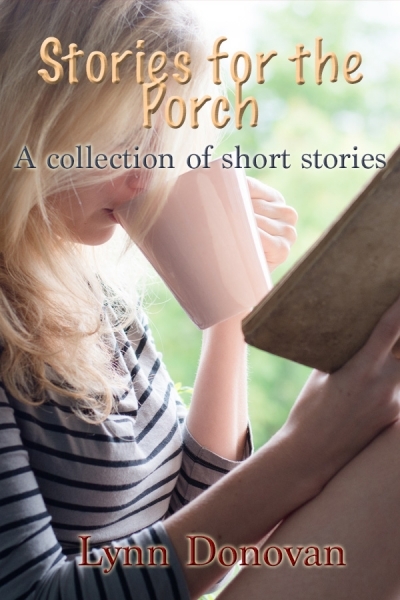 Come curl up in the porch swing and enjoy four short stories. Nothing too deep or heavy here just some light-hearted entertainment. Feed your imagination as you rest and recover with Lynn Donovan while sitting on the porch. Story #2 Blind and Deaf Faith - A Marine Biologist is blind and deaf and very successful. Can she handle a new PhD with out limitations? Story #3 Cautiously Optimistic - Bailey's lover must go away in order for her to live. Will his legacy leave her cautiously optimistic for another true love? Bonus Story - Just for fun: Dachshunds' adventures. Nelli and Delli are always up to something.